It’s hard to imagine attending business school in a pre-Venmo world. Today, Venmo has become so routine among millennials that it’s easy to forget the days of “which bank do you have?” “Let me search for my checkbook” or “I owe you $10 when I get cash.” To “Venmo” has become a verb and this year $40B in transactions is expected to be “venmoed”.4 To get to this point was not an easy ride, however. It was one filled with credit card fraud, money laundering, and skeptical users. But what could be so compelling that users are willing to give all of their bank account information to a startup? Walking through the customer experience of transferring money through a bank account verse through Venmo illustrates why. A group of friends share a dinner and the restaurant cannot split among five cards. One friend pays and the others promise to pay her back. At a best case scenario, the friends all have the same bank. Each friend logs into their bank account entering username and password information, goes through a few clicks to get to transfer, look up the friend’s phone number and triple checks to make sure the number is correct, then transfers the money. If the friends don’t all have the same bank, they may have to pay transfer fees and wait several days for the money to clear. Chances are at least one friend forgets to transfer leaving the friend that is owed money in an awkward position. In the same scenario, the friends don’t even ask to split the check. One friend offers to pay, everyone else immediately pulls out their phones and without logging in, transfers money in a few clicks, picking fun emojis to represent their. Because most people login through Facebook or use the “friend” feature, finding friends is easy and you can assure you have the correct person based on their picture. Friends who you interact with most rise to the top of the list making it even easier. 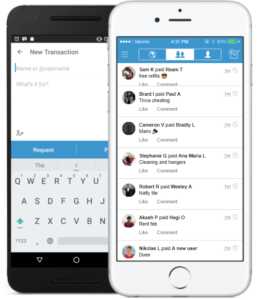 Money is immediately deposited into your Venmo account at no cost and is ready to use. If that one forgetful friend does not pay right away, the friend who paid can send a Venmo request for the amount owed as a gentle reminder. Friends can then see a live feed of off their friends’ transfers making it a fun social experience. There is also a virality aspect to it in that no one wants to be the one friend that doesn’t have Venmo so even people who are concerned about security breaches are often peer pressured into downloading the app. Venmo’s value stretches beyond typical retailers as well. Service providers can accept tips from customers who do not carry cash and charities can accept donations with the click of a button making it easier than ever to donate3. 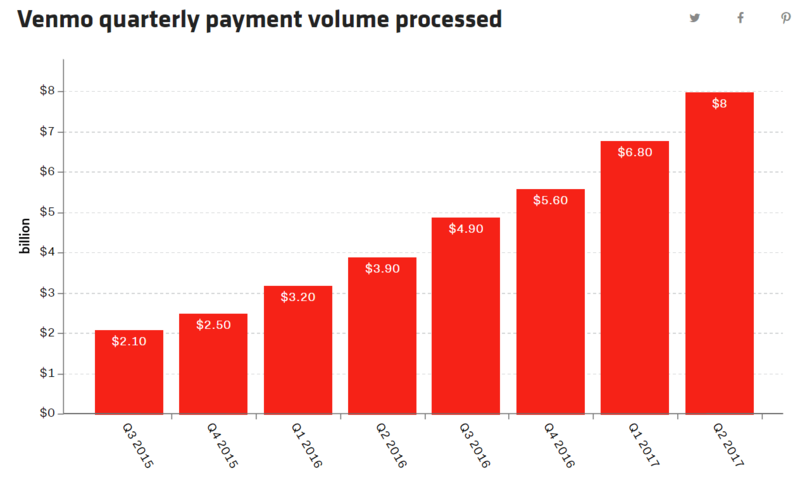 While Venmo is currently winning in the peer to peer payments space, the question remains if they can sustain their spot at the top. 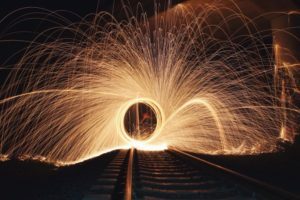 A consortium of top banks including Bank of America, Wells Fargo, and JPMorgan Chase have created their own peer to peer system called Zelle5. 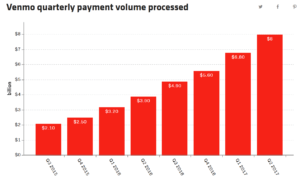 While they claim that almost 100,000 consumers are downloading the app every day, it is unclear if they will be able to steal share from Venmo5. As of today, Zelle is unheard of by many and has a rating of 1.7 stars in the Android store as opposed to Venmo’s 4.7. With little to no friction in the Venmo user experience it will be interesting to see what angle the large banks take in order to steal share. I guess, from my own personal perspective as an international student : Venmo is “THE” american innovation that made my daily life easier. That being said, it also prompted the question of why such a great model has been exported yet. 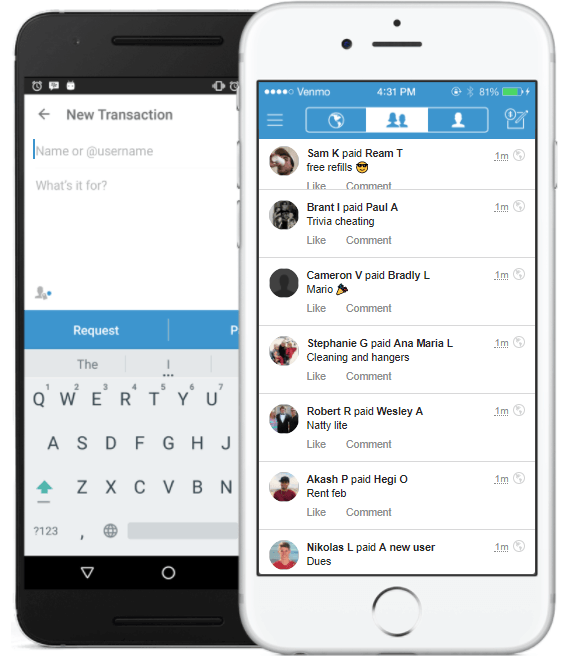 As of today, Venmo only works in the U.S. I wonder whether this has to do with market dynamics or Venmo’s strategy. For instance, in Europe bank transfers are completely free across Euro countries (result of European commission’s regulatory pressure). Would Venmo still try to make the jump though ? Would love to hear your thoughts. In my opinion, it all comes to “friction”. The US market had lots of it, enter Venmo to solve the problem. But does Venmo has an actual competitive advantage in a market with slim-to-none friction. How many people will install yet another app given that they already have a bank app on their phones that does it all. Is Venmo “constrained” to its domestic market then ? Thanks for your sharing! I do think that venom makes my life easier! I agree with you that Venmo is a winner in peer to peer payments market, and so glad to see that they are also moving to retails by cooperating with two million online US retailers. I am wondering that whether Venmo also has interest in expanding the offline payment market. 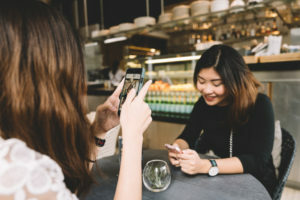 Unlike Alipay and Wechat Pay are transforming China into a cashless society, it seems that the offline payment market via mobile is still an untapped market in US.